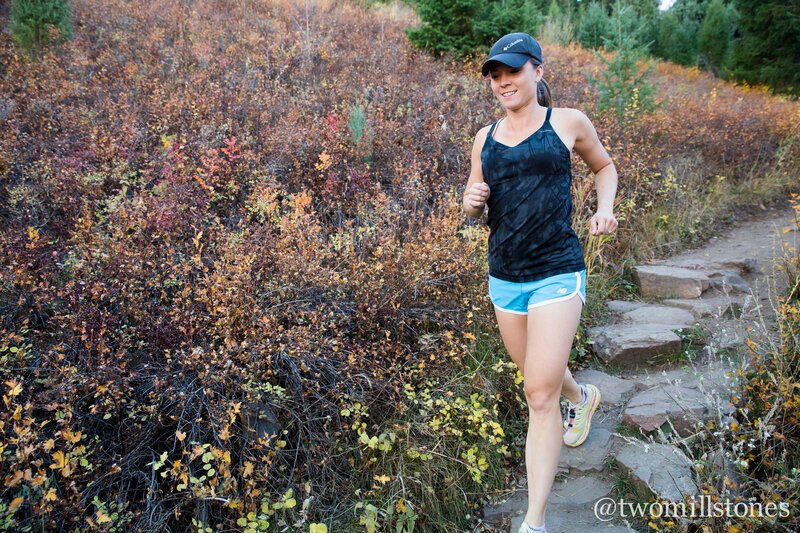 Colorado is a veritable mecca for hiking and trail running. While many of the best trails are a solid two-hour drive into the mountains, that isn’t always the case. 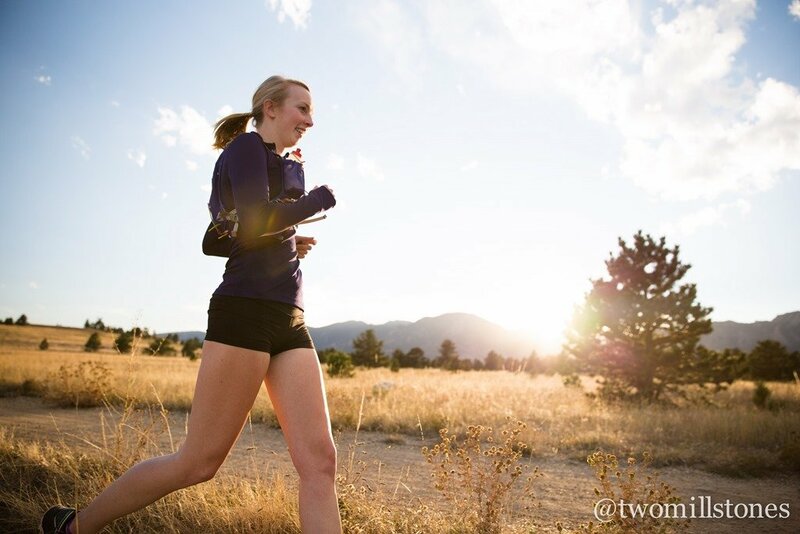 Fortunately, we have a litany of amazing trails within 30 minutes of Denver, making it easy to get outside after work, pre-coffee, or just when the soul needs a dose of mountain medicine. 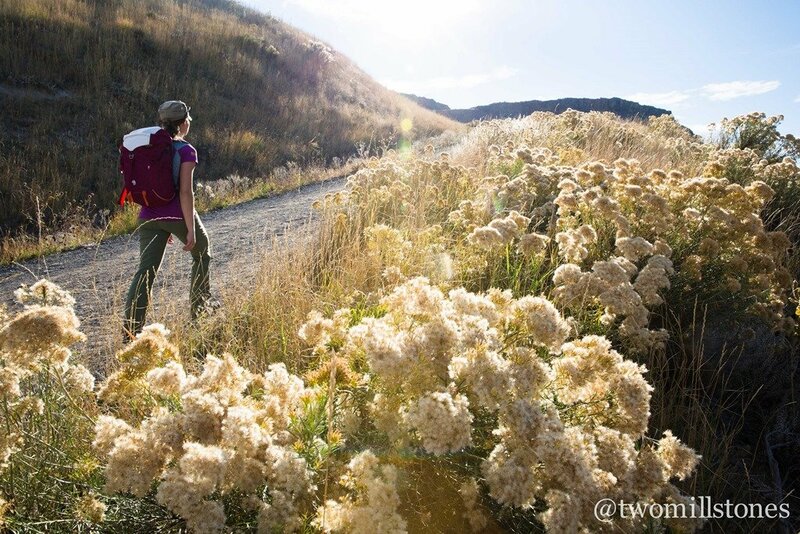 Take a look below at my five best hikes near Denver and see if you find a new best friend. Of the group, the Marshall Mesa Trailhead is the farthest from Denver and is only a few minutes away from the city of Boulder. However, you can get there within 30 minutes, so I highly recommend it. The trailhead is located on the east side of Highway 93 and is very accessible to vehicles. There is a large parking lot with plenty of room, but beware: if your car is not registered in the City of Boulder, there is a daily $5 fee. 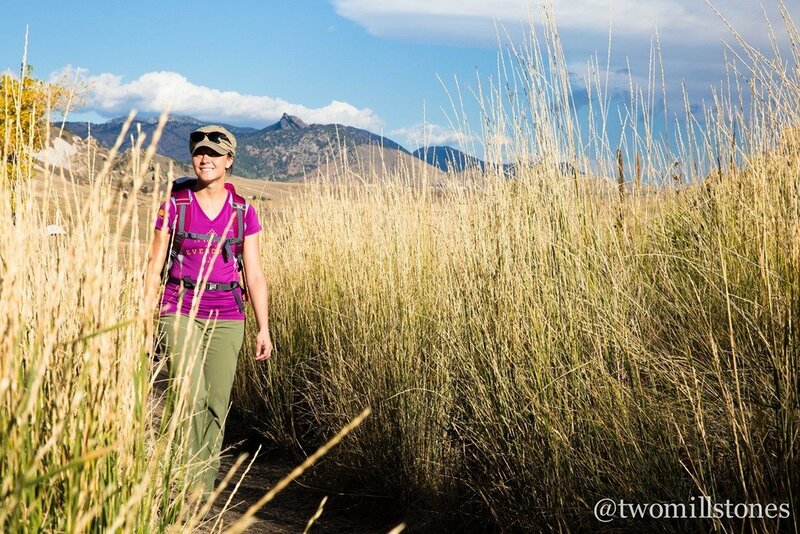 Marshall Mesa is a favorite because the trail connects with a handful of other trails, allowing visitors to run or hike forever! Beginning hikers can stay on the main Marshall Mesa/Valley trail and complete an easy 2.5 mile loop that is great for families and children. More experienced peeps can hook up with the Cowdrey Trail to the east or the Coal Seam trail to the west. In doing so, you can *literally* run or hike until your heart is content! While located in the plains leading up to the Rockies, Marshall Mesa still has epic views of the Flatirons. 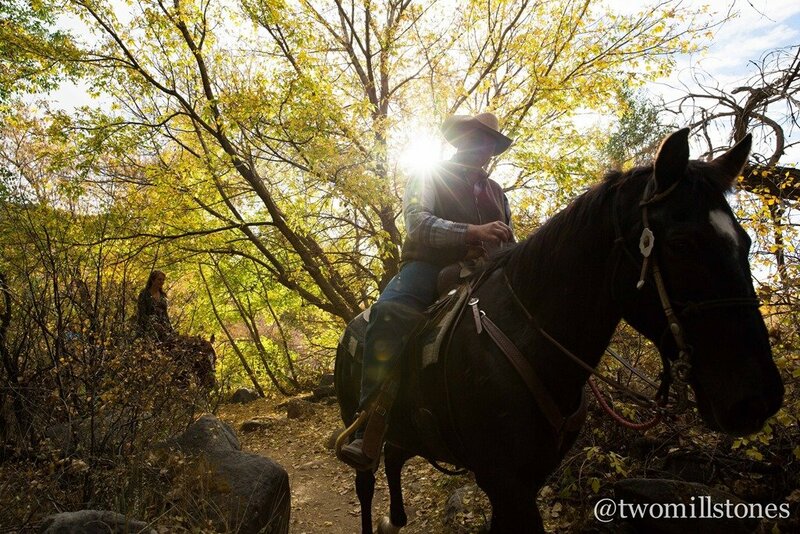 Catching this trail during the golden glow of sunset is a treat. The tall grass glistens yellow while the mountains wear their finest purple in the background. It’s not the toughest hike by far, but it’s definitely a classic option for locals looking for a post-work, pre-happy hour sweat session. Use: Mixed. You will see plenty of mountain bikers too! Located on the north side of Golden is a towering mesa known as North Table Mountain. Mesa, the Spanish word for ‘table’, is the perfect description of this geological feature because it is completely flat on the top, thanks to the lave flows that hardened and created the cap. Geological features aside, North Table is a fantastic mountain for hiking and trail running; it’s one of my favorite hikes near Denver. Locals and visitors alike rave about its ease of access. Personally, I visit this trail weekly for a solid six-mile adventure! There are three trailheads—one on the east side of the mesa, one on the west, and one to the south—but the main parking area is located on the east side of Highway 93. Regardless of whether you are driving from the north or south, you can’t miss the turn; there is a big sign indicating where to go. The parking lot is huge but parking can still be a hassle, especially on busy Saturday mornings and during prime post-work hours. The toughest part of North Table is the immediate climb straight out of the parking lot. Because it’s a mesa, hikers have to reach the top before enjoying the views of Golden. Visitors can avoid the climb by taking the easier North Table Loop just to the north of the parking lot, but trust me: the views from the mesa are worth the sweat equity! The dirt road climbs steadily but it can be difficult, especially if you don’t live at elevation. Take your time! 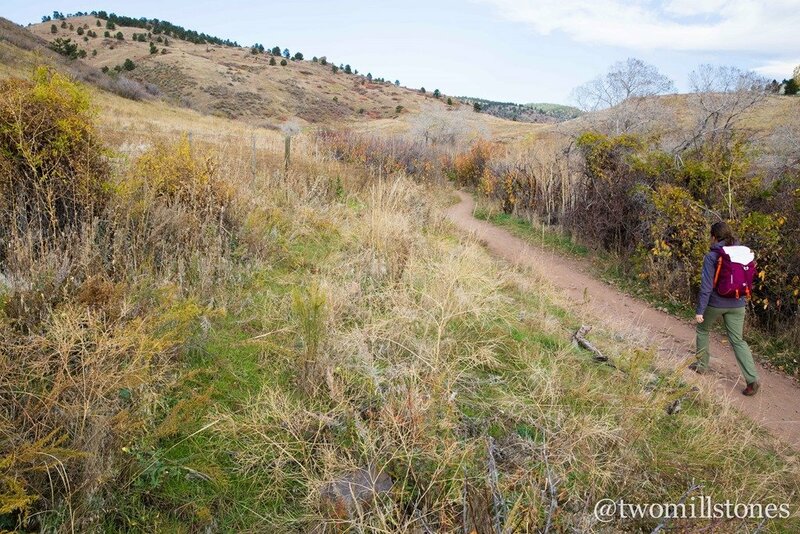 Upon reaching the top of the mesa, there are a handful of trails to choose from, providing 15 miles of singletrack goodness. Lichen Peak trail goes to the highest point on the mesa, and it’s just a short jaunt off the main path. Definitely worth your time to check out! Rock climbers also frequents the cliff bands on the southwest side of the mesa, and it can be fun to head over that way and watch them do their thing. Just remember: what goes up must come down! Most people assume the descent will be the easy part, but it is definitely steep and can do a number on your knees. I run there frequently and absolutely refuse to run the downhill! Use: Mixed. Mountain bikers frequently do laps on North Table, so keep your eyes peeled. No one wants a biker/hiker casualty! 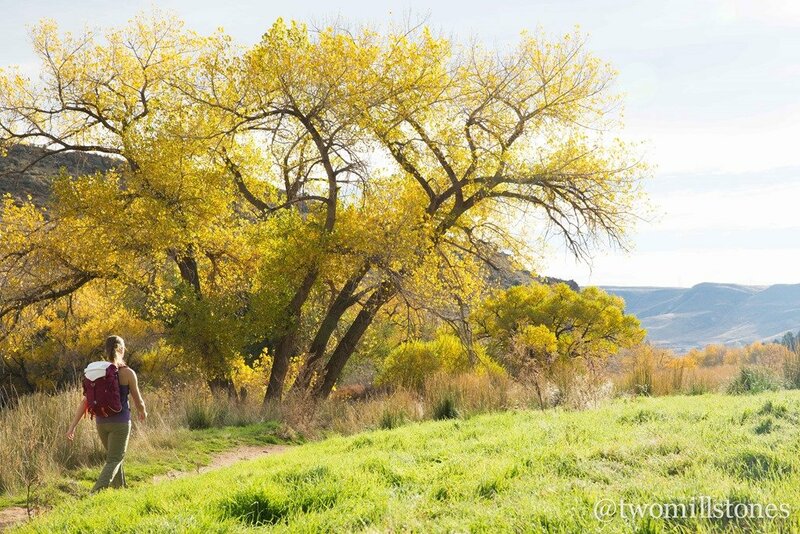 If you’re looking for some tough climbing, then White Ranch Park may be the place for you! Located just north of Golden, it’s easy to reach and has a large parking lot. If you are driving from Denver, the east trailhead on Glencoe Valley Road will be your closest bet. White Ranch took a hit during the Colorado floods in 2013, and as a result, both the Mustang and Wranglers Run trails are closed due to damage. However, there are plenty of other trails to explore. My preference? 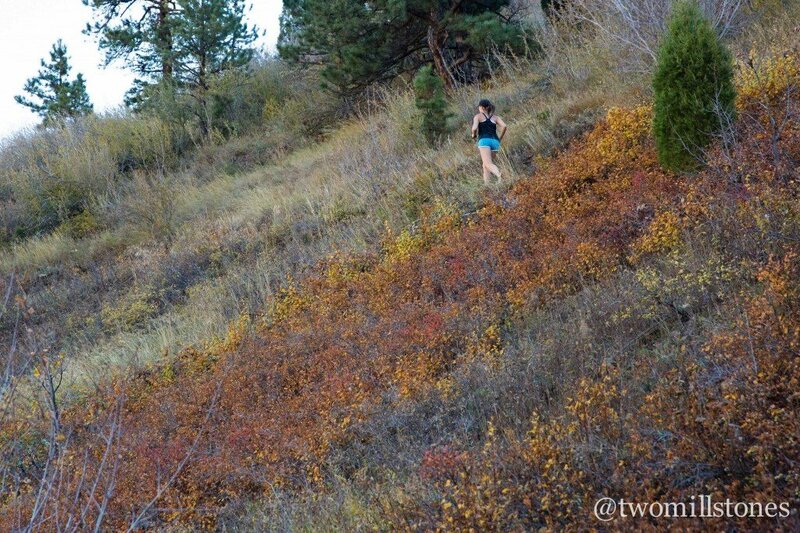 I like to head up the rocky and steep Belcher Hill Trail for some serious climbing straight out of the gates. When the trails forks, I frequently take a right turn and hop onto the Whippletree Trail. 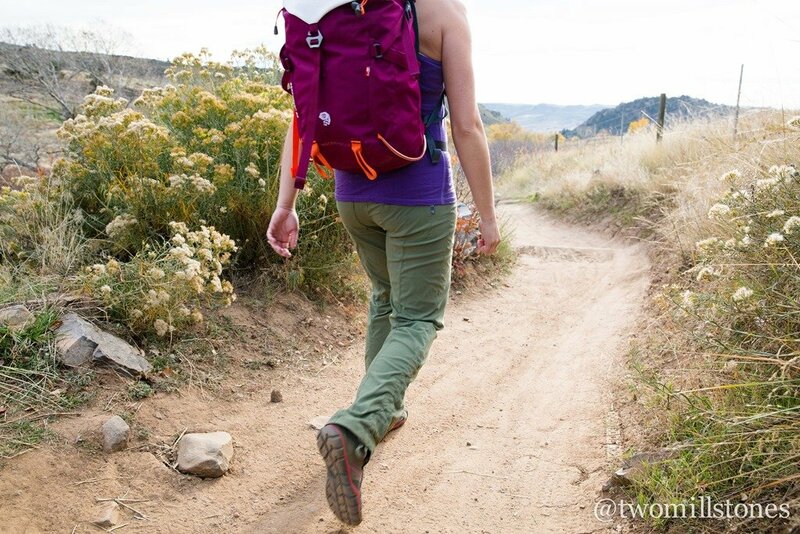 From there, you can access a multitude of trails that will keep you busy for hours. The trails seem mellow when you first leave the parking lot, but trust me: you will hit some steep climbs quickly! However, the peace and quiet combined with the views make the raised heart rate totally worth it. An added bonus? Peregrine falcons! I don’t know much about birds, but I see dozens of bird enthusiasts with binoculars every spring. I finally asked one gentleman what he was watching, and he told me this trail was a mecca for falcons. Keep your eyes peeled! Use: Mixed. In addition to hikers, runners and mountain bikers, this trail also sees frequent use by equestrians. I’ve never experienced any issues, but if you’re bringing a pet, be sure to leave Fido on a leash so he doesn’t accidentally spook a horse. Of the group listed here, Mt. Galbraith is the most limited in terms of number of trails and quantity of miles. 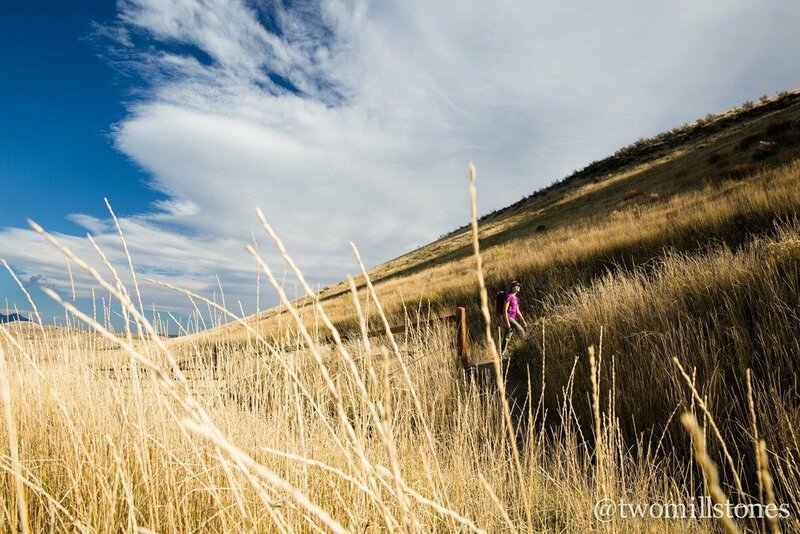 However, as the Open Space website says, “Come for the challenging terrain, stay for the views!” Yup, this trail will give you some of the steepest climbing of all of the hikes near Denver. 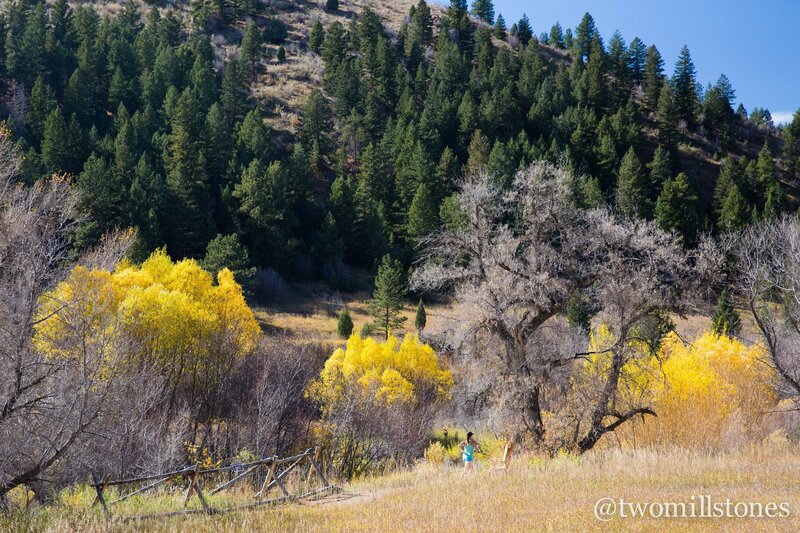 There is only one trailhead located on Golden Gate Canyon Road. From there, hikers climb Mt. Galbraith on a lollipop loop-trail. From the parking lot, the Cedar Gulch trails climbs a steep and rocky 1.3 miles until it hooks up with the Mt. Galbraith Loop trail. This loop circles the mountain top, awarding hikers and runners commanding views of Golden and the Denver metro area. After completing the loop, hikers will then descend on the same trail that they used to climb the mountain. All said, the full lollipop is 4.2 miles. There is also a spur that shoots into a nearby neighborhood; this trail is called the Nightbird Gulch Trail. Beware that there is no true trailhead at the base of the Nightbird trail. While steep and technical, Mt. Galbraith is a lot of fun and the parking lot can be crowded on weekends. If you visit at dusk, be extra cautious: since it is located in a canyon, twilight fades into inky blackness very quickly. I’ve been stuck descending this trail in the dark without a headlamp, and it’s not an experience I’d like to repeat! Use: Hikers/Runners only. No mountain bikers or horses allowed. By far, Lair o’ the Bear is a perennial favorite among locals and visitors alike. Why? Because there is something for everyone at this park! Lair o’ the Bear is located west of Morrison, just past a small town called Idedale. 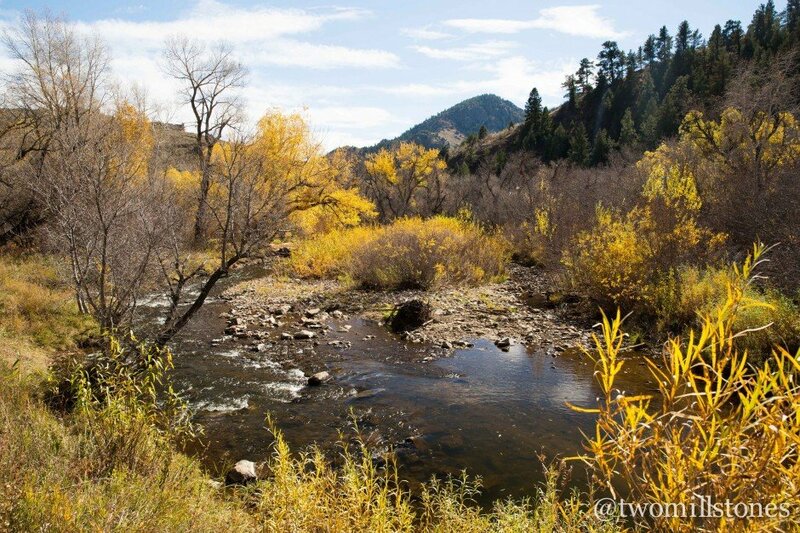 It’s a beautiful drive up Bear Creek Canyon and the park itself won’t disappoint either. If you’re looking for a mellow visit, dozens of picnic tables are scattered throughout, along with barbeque pits and metal containers to dispose of the ashes. The Creekside Loop trail is flat, easy trail that meanders along Bear Creek, offering lots of fun for children or fishermen. Beavers have been spotted in the creek, so keep your eyes peeled! Perhaps you’re looking for something a bit more intense? The Bruin Bluff Trail gains more elevation with some nice views. 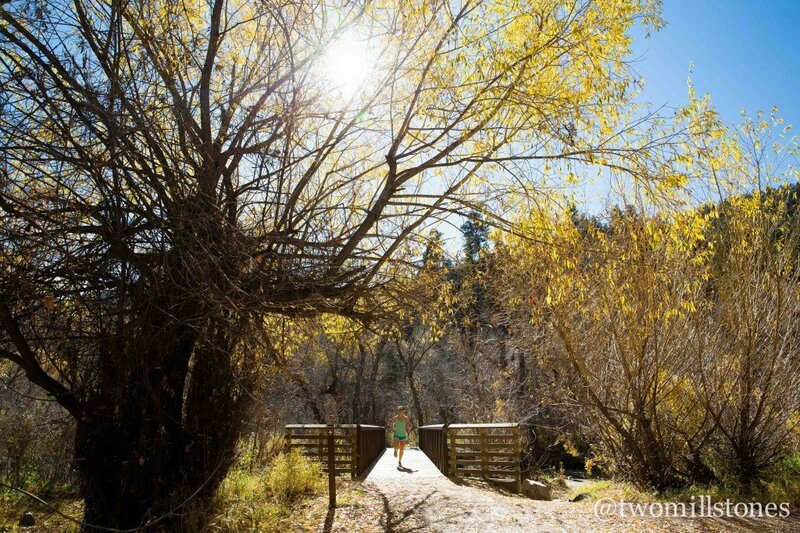 The Bear Creek Trail offers 12.6 miles of tough terrain that is popular with trail runners, hikers and mountain bikers alike. However, it should be noted that there are two bridges that cross Bear Creek: one to the east of the park and one to the west. The west bridge was ruined during the floods in 2013 and has not been repaired. Use: Mixed. However, there are few smaller portions of trail to the north of the creek that are hiker-only. 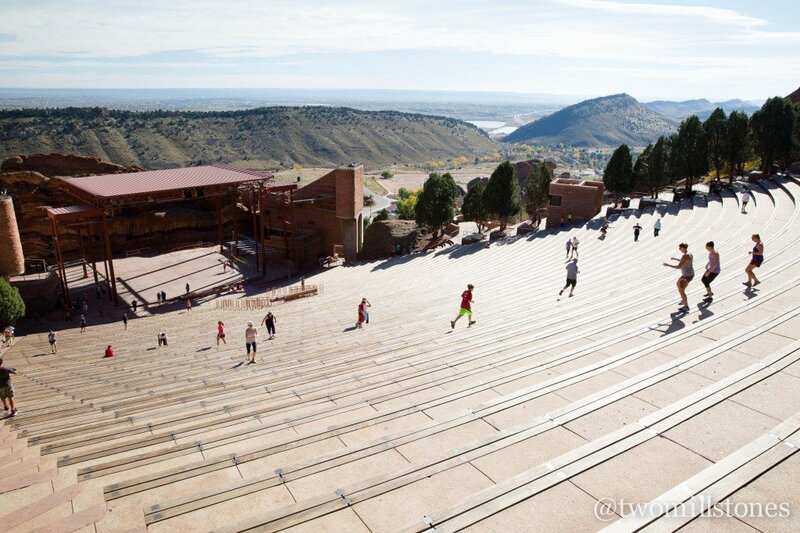 While Red Rocks isn’t known for its trail system, I would be remiss to exclude the iconic park from this list! There are two trails that circumnavigate the park—the Red Rocks Trail and the Trading Post Trail—and while they are worth exploring, my favorite part of the park is the amphitheater itself. Red Rocks Amphitheater is a hot spot for fitness enthusiasts, and weekend mornings find the stadium chock-full of runners, hikers, stair steppers and other varieties of sweaty bodies. There is no method to the madness; each person does his own thing in order to accomplish his individual workout goals for that day. People frequently run the stairs, use the planter boxes for box jumps, or throw together a unique blend of push-ups using the exit staircase. 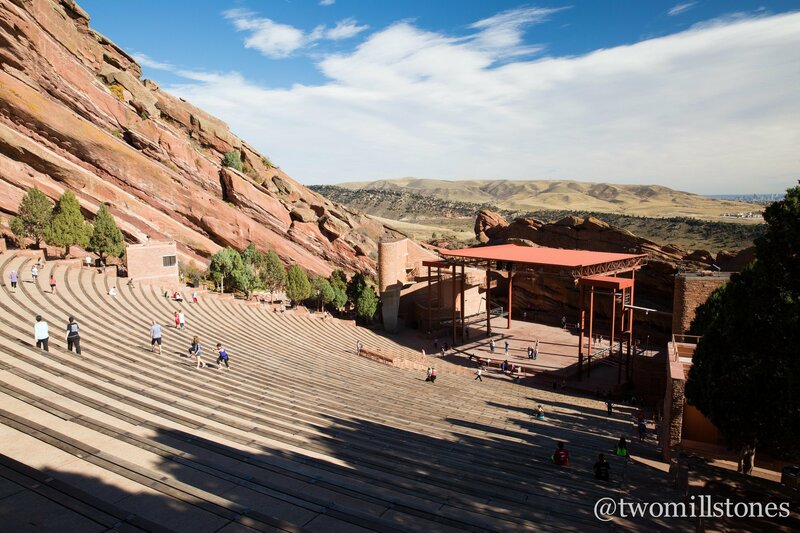 In the end, Red Rocks is a must-see for anyone looking to check out the outdoor scene in Denver. Sound off! Locals, what trails would you include? Any suggestions towards the south side of the city? I’m sounding like a broken record over here…but…I need to visit Colorado. It looks so beautiful, and so vastly different from the Vermont mountains I know and love! It’s definitely different from back east but you’d like it 🙂 Have you ever been? Agreed. 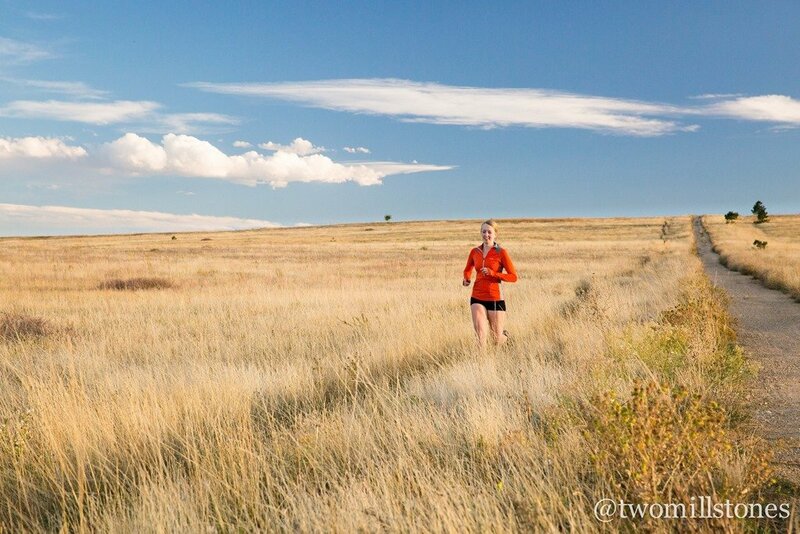 Love his photos….even when he tells me to run the same hill 785 times! I need to move. Plain and simple! I think you would LOVE the trails here! Wow how beautiful! I want to go to Denver! Eldorado Canyon! Of all Boulder trails this should have been included or the Walker Ranch Loop which hooks into Eldo. I had Walker and Eldo on my original versions but according to Google Maps, they’re way more than 30 minutes from Denver– especially Walker! (Google Maps was my scientific method of determining the 30 minutes mark!) But, I agree- I ran at Eldo on Saturday for my long run. We did 10 miles on the Mesa Trail; love that area too! Seriously Heather, I don’t think that I can read your blog anymore because I just leave with a terrible case of wanderlust each time! Photos are gorgeous and I think that I need to book a trip to Colorado sometime soon! You should come visit- I’ll be your tour guide 🙂 Have you ever been? I’m so jealous of Coloradoans (is that an actual word?) and the trails you have access to. We have some decent trails in the Chicagoland area, but have to drive an hour and a half or so to access longer routes and more varied terrain. Ha, it is a word– that’s what we’re called 🙂 We are pretty fortunate to have access to trails everywhere, and I have to remember not to take that for granted! Roxborough State Park has got to be on your list. One of the most beautiful State parks in Colorado and a terrific place to start hiking the Colorado Trail. I’ve been doing lunch time runs at Green Mountain in Lakewood! Amazing views of Denver and the mountains, and good amount of climbing and semi technical trails (rocky in sections). I’ve really enjoyed it! 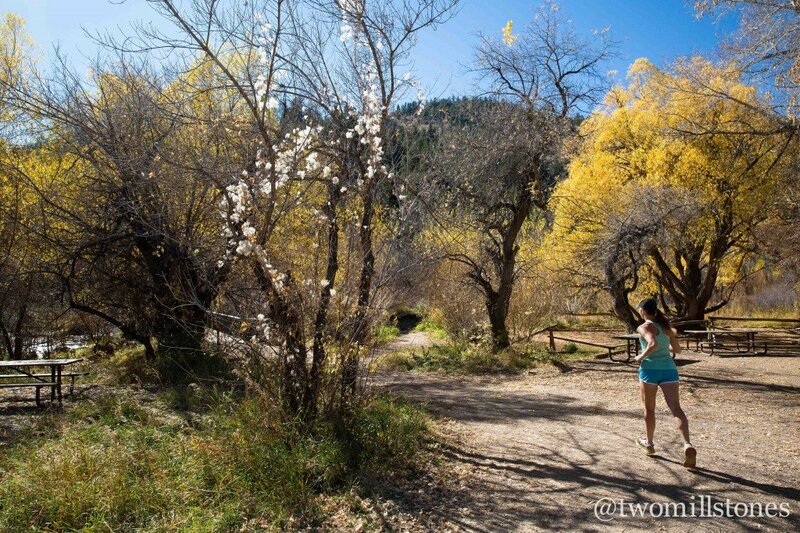 I’d love to get back out to CO and run some of these trails you recommend! Heather, nice article, good info, beautiful photos…but please stop recruiting more people to move here. Thanks. Soooooooooooo beautiful !!!!!!!!!!!!!!!!!!!!! And what about ” the bonus pic ” !!!!!!!!!!!!! Do you know of guided hives for beginners? For these trails? I don’t unfortunately, but I think you’d be pretty okay on your own. Since these are so close to the Front Range, they are not as difficult or wild as the hikes farther into the mountains. Looks great. Thanks for this post!